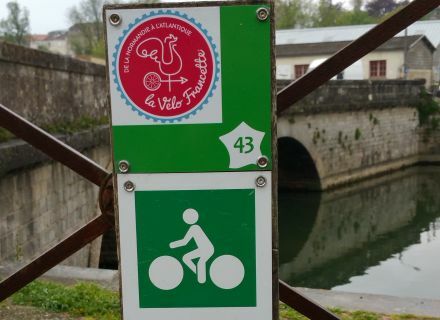 Home / Le blog / By bicycle, it is so much more beautiful! By bicycle, it is so much more beautiful! 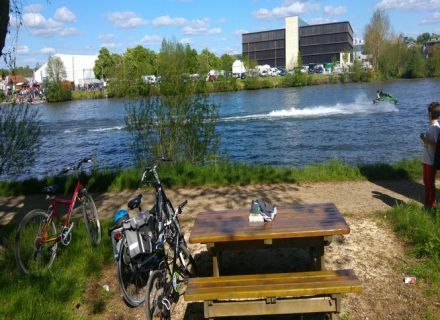 Some beautiful days were announced for this bridge of the Ascension Day, it is the moment to bestride its bike! Follow I! Departure of the hold of the Port in Niort. If you read well the panel Vélo Francette, I take you to the ocean. Obviously, there the discouragement can settle down for the novices, as me. No panic, course whom I propose you, I tested it, each can thus envisage it without aches the next day. 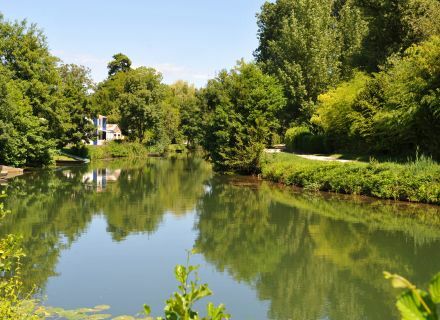 Follow the Sèvre niortaise, backbone of the Swamp from Poitou from the quay Sharecropper. 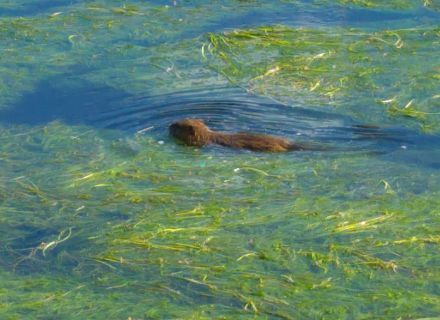 First meeting, a family of whole coypus seems to greet us! No major difficulty, that of the dish, the time thus to admire the attractive houses. Here we are already arrived in front of Exhibition center, of Chizelles. A table to put us a few moments. A jet-ski exceptionally came to disturb the tranquillity of places. Admire the landscape and compare: on one side the plain of Niort and the other one the Swamp from Poitou. You will have can be the luck to see the flying over a grey heron. 40 couples nest in the swamp of Galucher, every close friend, in front of us. Let us pursue our path on the white ways, in the direction of Roussille. Ash trees-tadpoles line meadows often intended for the breeding. We arrive at the level of the boat at channel allowing to join the other bank. An advice, borrow it if you are with children. They will be delighted to have a small break! And come back from the good side to continue our stroll! 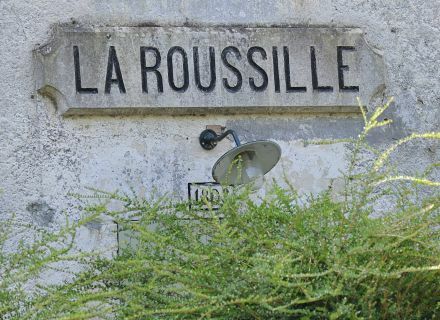 Still some knocks of pedals and we arrive at Roussille. A jewel of greenery offers itself to you! Leave your bike a few moments. In the face of you, an artist studio, formerly a chamoiserie, a house lock keeper. Cross the blue bridge. 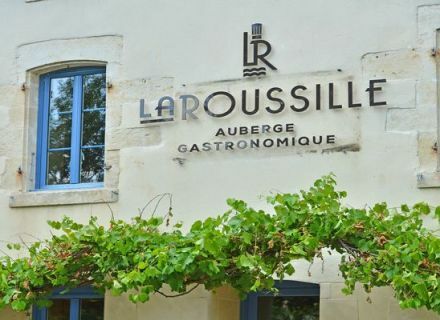 For the greediest, a gastronomic break is imperative upon the inn of Roussille. Several tables also are at your disposal for the picnics pulled by the bag. Here we go again! You will not miss to see numerous fishermen on this route. The sector is considered as its white and carnivorous fishes. Trees mark out all the course, assured shade! 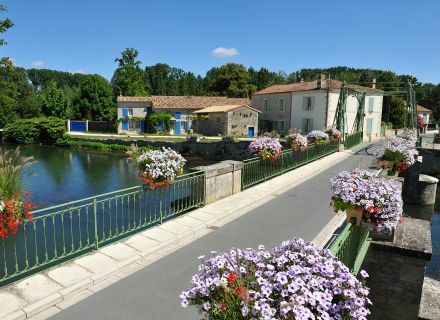 Admire the footbridge of Giole, restored in the respect for the metallic constructions of the XIXth century, that you cross and notice these alignments of poplar groves. 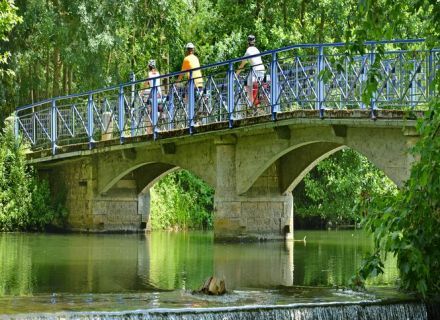 You will soon perceive the metallic green bridge of Magné, the destination of our stroll of today. Borrow him. 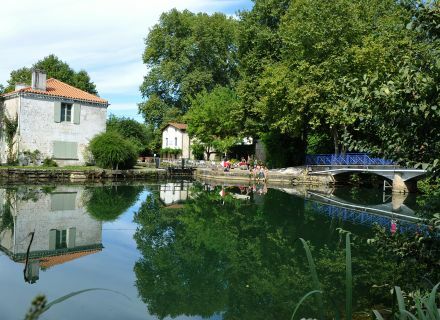 Have a break to have a look on the exhibitions of the Cultural area of the Four Pontet, situated a few meters away from the bridge and the beautiful stained-glass windows of the collegiate church Saint-Catherine. My stroll ends here, but nothing prevents you from pursuing it to La Rochelle, for example! If, it is possible! 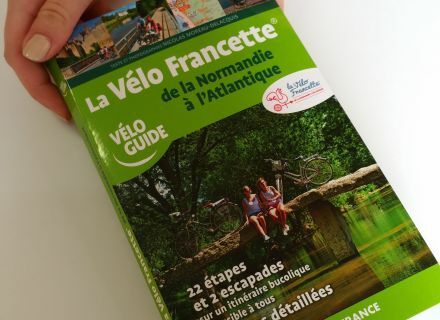 You are on the route of Vélo Francette, a route of 628 km of Normandy in the Atlantic Ocean. Get yourselves the guide who has just gone out. A source of information at the 14.90-€ price on sale within the shop of the Tourist office of Niort.